Gavrio. 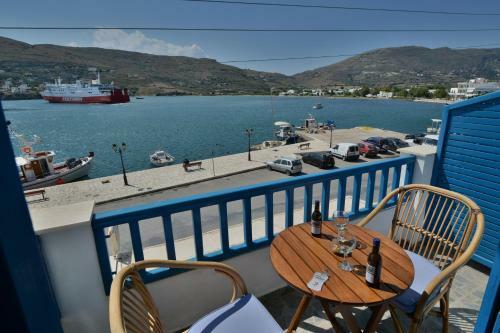 Gavrio is the main port of the Greek island of Andros. 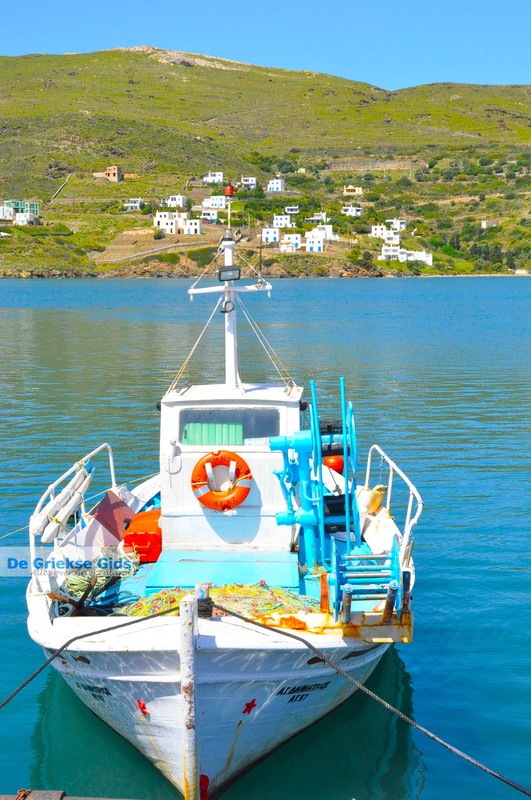 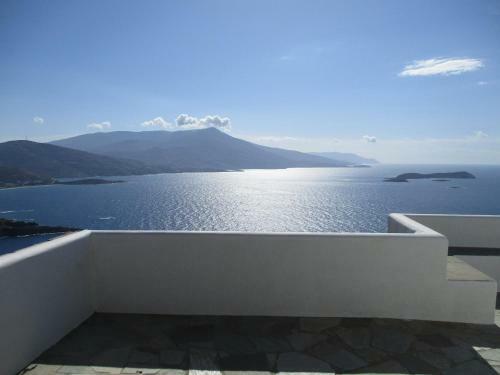 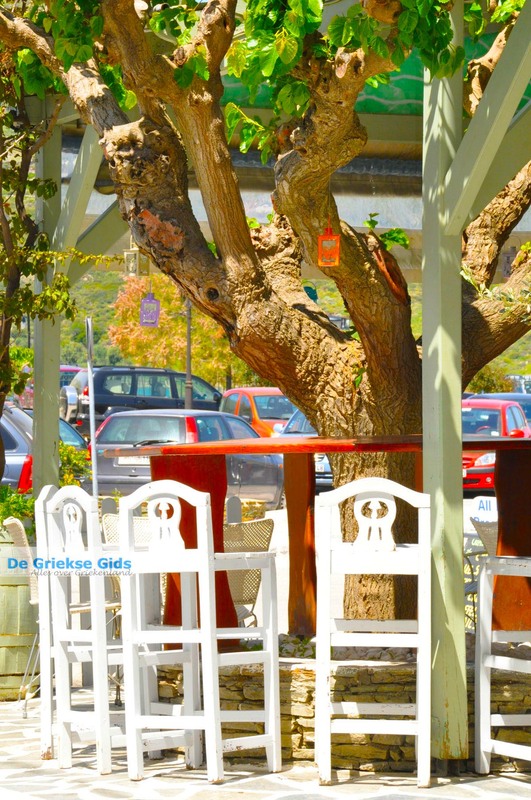 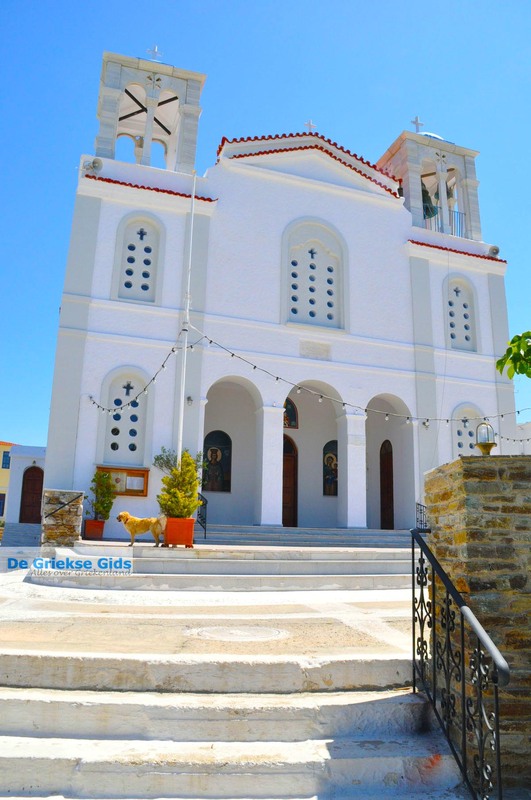 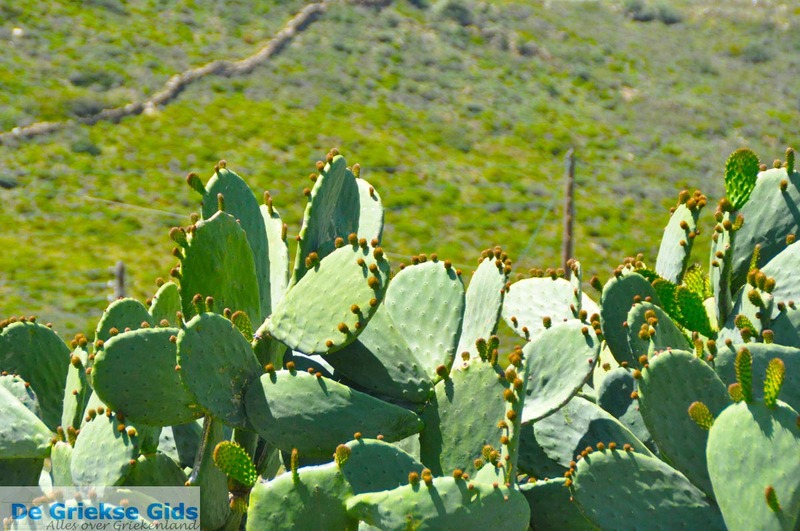 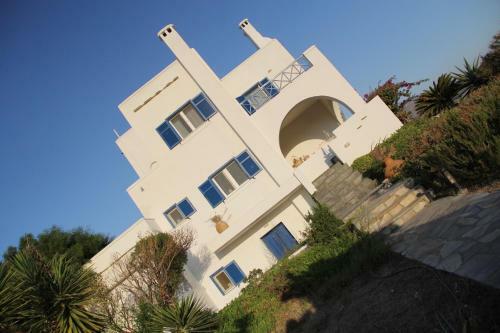 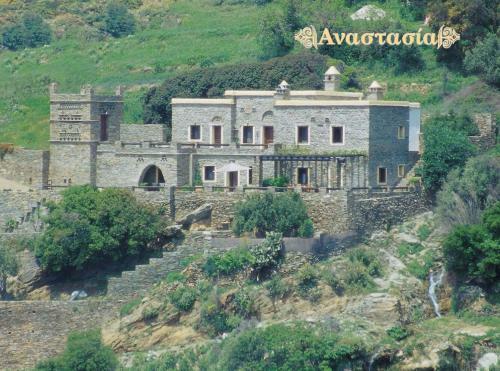 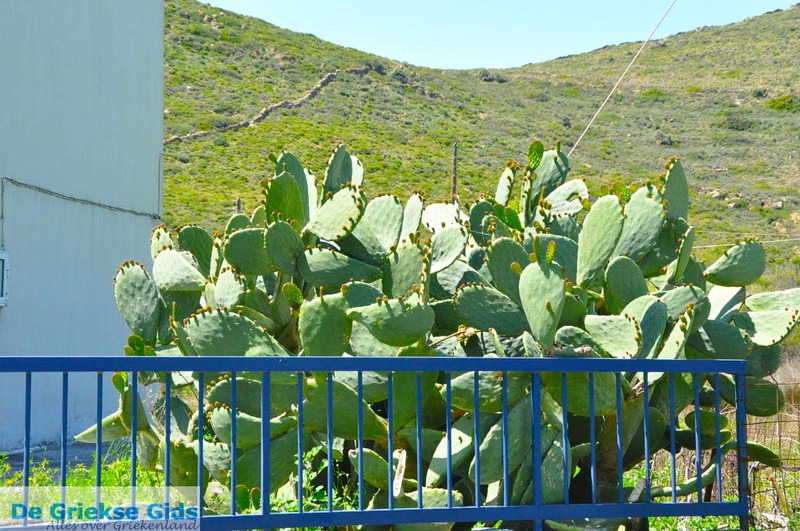 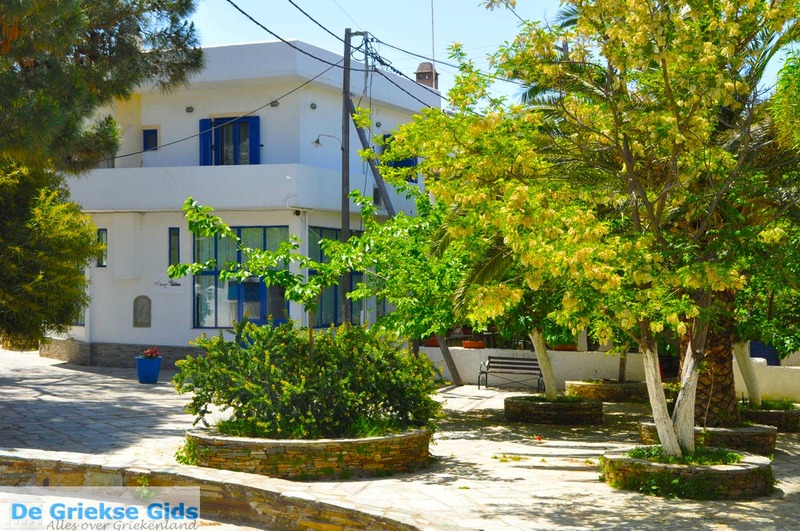 It is located in the northwest of the island, 30 kilometers (19 mi) from the capital of Andros, Chora. 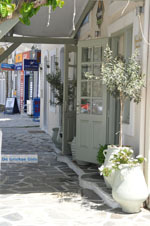 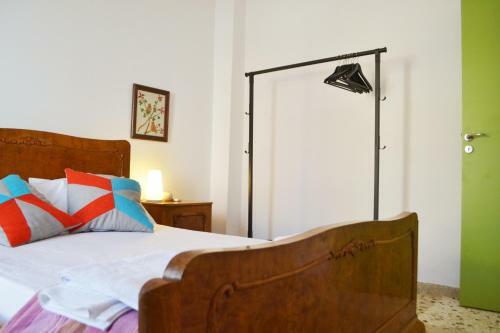 Gavrio is located next to Batsi, the most touristic place of the island. 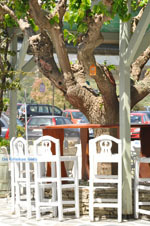 At the harbor, which is located in a closed bay, there are many terraces, bars, cafes, restaurants and souvenir shops. 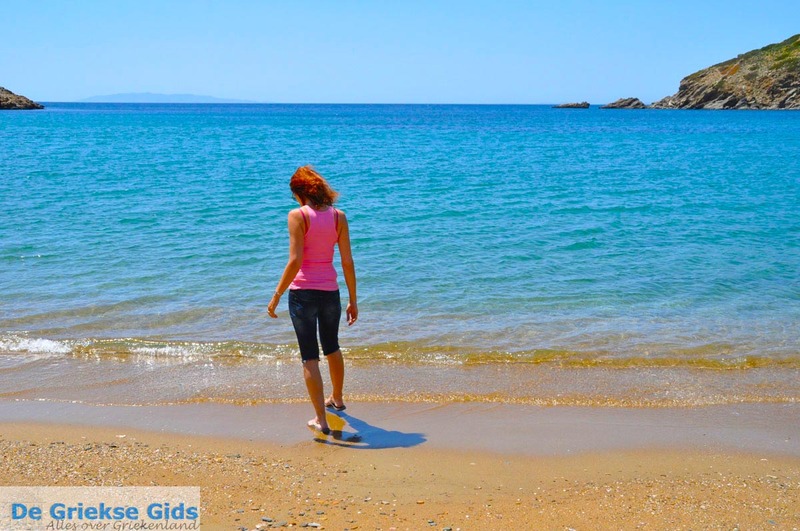 At a short distance from Gavrio are some very nice beaches such as the beach Fellos, three kilometers (less than 2 mi) west of Gavrio, and the beaches Kypri Ammos and Chrissi Ammos (Golden Beach) south of Gavrio. 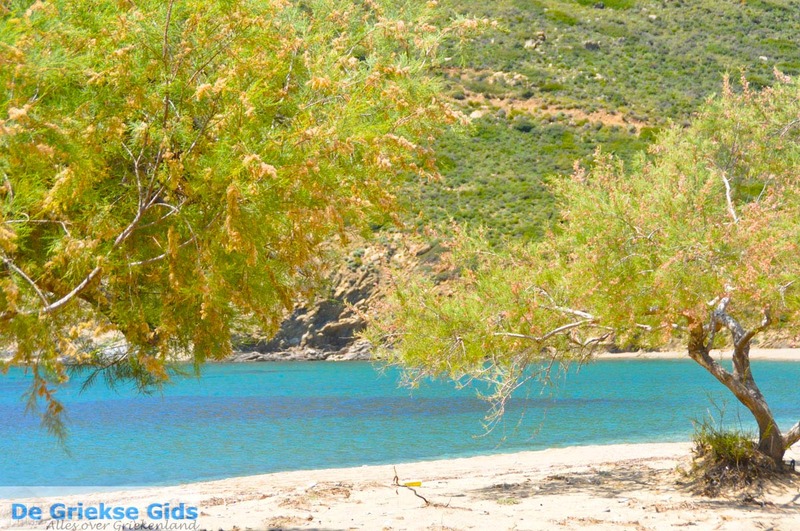 Gavrio also has a campsite. 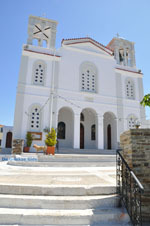 This town of about 1,000 permanent residents, is quite busy in summer, mainly due to the arrival of Greek and foreign tourists and island hoppers. 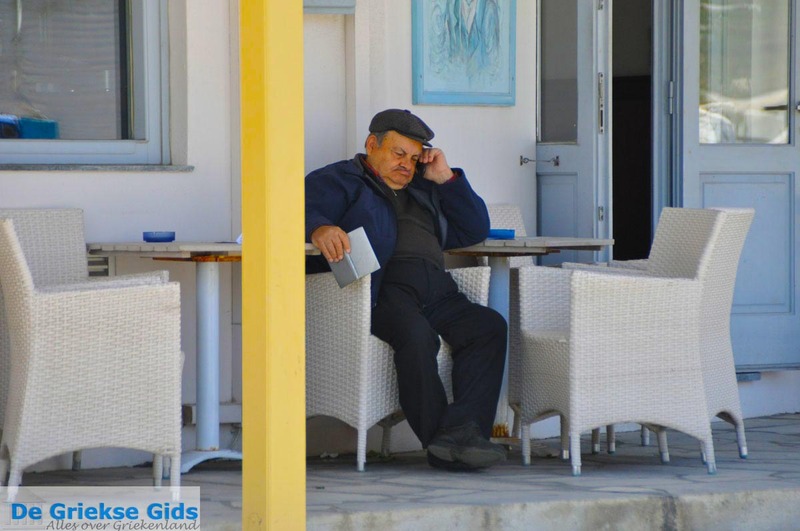 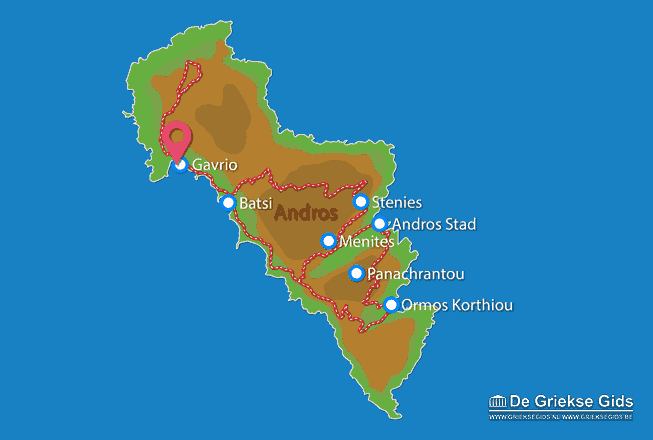 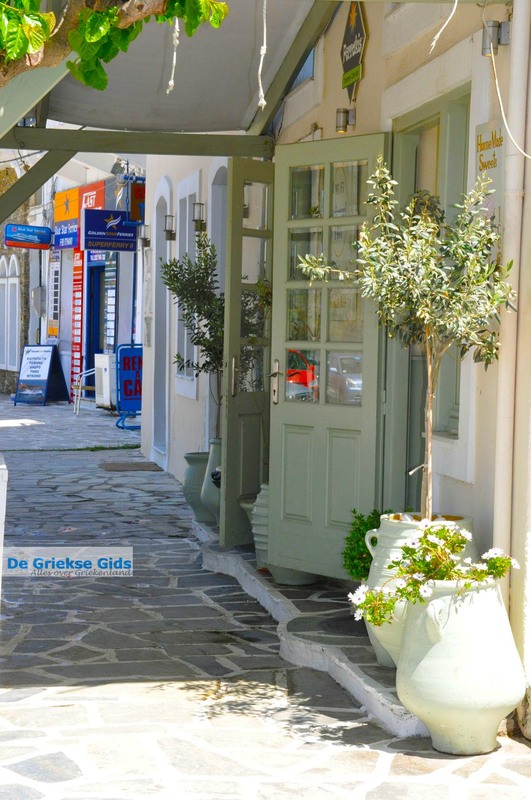 Andros: Where on the map is Gavrio located?